For information on guild programs and special events, visit our Calendar page. For information on mini-groups and their programs, visit the Mini-groups page. At the January 8 monthly meeting, we will see a presentation called: "A Brief History of Quilting in the U.S. 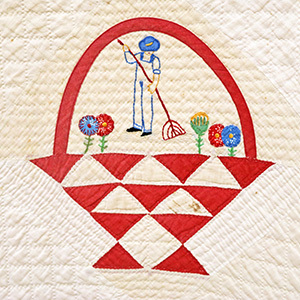 This image shows a detail of a quilt owned by Sharon Banister.